Welcome to another issue of FOOTNOTES. Before I start with a report on our activities during the past months I wanted to let you know that my latest book God and Man at Work: Doing Well and Doing Good in the Bible’s View of Life is available from Wipf and Stock via wipfandstock.com/advancedsearch/search?search_type=keyword&keyword=udo&go_search_btn.x=14&go_search_btn.y=9. Now you can join us in thought and add to my reflections and comments where you can and would like to. I always appreciate hearing from you. In the course of the spring semester, between January and April 2013, Deborah and I were back in NY. I had been asked to give a series of six Colloquia for Nyack College in downtown Manhattan. They were sessions for students, faculty and always open to the public. The format gave me 30 minutes to propose my ideas, to which a faculty member gave a response before the audience took part in a general discussion. In the following I want to give you the gist of what I presented. Necessary Foundations for the Survival of Democracy in the 21st Century. Central is the need of an educated and moral citizenry to give content and weight to what otherwise is only a fickle ballot box. In the matter of laws, justice and human interest quality matters above quantity, and content above format. It can only be found, like in questions of taste and flavor, once the peel of the fruit is removed. The ‘demos’ (Greek: ‘the people’) must choose with a critical, informed mind and an educated conscience, rather than with shouts in the street or paint on the thumb. Arguments about what is good, right, and worthwhile for everyone need to be worked through. The variety of observations, insights and expectations can then blend for a time into a majority. The next election will reveal what review and refinement, what corrections and improvements of the majority opinion’s rule were nurtured in the intervening years. In this manner elections follow a distillation of the debates, discoveries, thoughtful exchanges and better insight gained from success and failure all along. Secondary institutions, such as a free press, critical debates, church, well-stocked public libraries, conversations and complaints bring people together to argue with each other for the sake of truth and the welfare of all. Where good ideas are discerned everyone will hopefully consider casting a wiser, more responsible vote the next time around. Without that participation of the educated and moral mind democracy is not about law, order and goals limiting personal greed and personal likes, but more about numbers and their power, about the quantity of people voting, the level of noise they make, instead of about the quality of life people wish for the community that includes more people than them. Democracy is about more than the dictates by greater numbers. It should initiate democratic governance which must benefit from the establishment of a network of institutions which, like the spokes in a wheel connected in the hub, help direct the complicated interplay of personal and social needs and possibilities of everyone. More is involved than the weight of percentiles in election results, or the rule of powerful groups with good intentions. When the ‘demos’ does not include everyone, the minority as well, it will fail as easily as earlier democracies from antique Athens to modern elected dictators failed. Ideas and ideologies reside in the mind. They must be tempered by being exposed to thoughtful and studied experiences from history, economics, and links between cultural practices and expectations and moral considerations. Insights gathered from all fields of human enterprise drawn on to modify and temper what otherwise may well express only a current religious and ideological/political fanaticism without submission to the way reality/creation itself is constructed and how it works. In this first colloquium I suggested that this is one of many reasons why each of us must not only be limited to and concerned about what amounts to self-interest. Of course we start with that, but then increasing maturity comes from exposure to a wider world of insights. It reveals how each person’s self-interest and personal vision affects everyone, e.g. how the current expenditure and failures to provide in all areas, will have to be paid for over time by all. Each person’s self-interest always affects everyone sooner or later. We always live in a social context, a community of people whose lives and thoughts and workings (e.g. noise levels, grammar, hygiene and respect of “rights”) affect everyone. None of us is self-made, independent, fully wise and circumspect. We are all neighbors! Democracy lays out a way to express, but also to challenge, private views and practices; it also mounts obligations to provide for the day after tomorrow, when today’s neighbor may be far more difficult than he or she already is. Failure to educate everyone will result in sizable loss of employability later. Democracy attempts to prevent the isolated life and expresses what the Bible tells us about loving our neighbor and yourself in the social reality of families, towns and villages. As I write this the events in the Near East, especially in Egypt, but also under the rulers of Syria and Qatar, Bahrain and in other regions, demonstrate that there are many ways democracy cannot work, when the ballot box is the lonesome justification for power and rule in a country. A vote, void of moral reflection and ideological tentativeness, relying on a minimum of factual insight by the voter, has only mathematical weight. By itself it neither indicates a moral concern, a thoughtful participation or a moral/critical stand, nor does it engender democratic governance. A majority vote there does not oblige those who are responsible to govern for all. It becomes instead the legitimization of concentrated power without the restraint of addressing contrary views, providing proof of moral and political superiority also in anticipation of the next election results. It is an interesting fact that in Arab Muslim countries, as Tony Blair recently pointed out, only two forms of governance exist: either a central control under King, General or dictator, or a popular Islamist movement that also does not allow for dissent because of its Islamic agenda. There are of course other countries with centralized authorities as well, whether from greed for power or from need for social order. But Islam as a view about God and Man imposes an authoritarian regime in the realm of god and man. In contrast to the Bible and open societies informed by “Man in the image of God”, Islam for the most part leaves little to practical moral and sensible interpretation, or to the need to govern also for the well-being of dissenters. One might regret that the military in Egypt removed the elected president. Such a reaction is justified, in my view, when the single act of casting votes is valued. If, on the other hand, the focus is on the need for democratic governance, on the quality of those elected, or the necessary freedom of the electors to make educated choices, additional factors weigh in to make the mathematical phenomenon in the ballot box less important than the subsequent way of making and imposing laws. They should always be an expression of what is distilled from many open moral/cultural debates. The current objection that democracy has been stolen by the military demonstrates much more that democracy in its intrinsic purpose has not been understood. It is not a way to power, but a restraint of power, which once again is an expression of power, unless it is subject to review! Yet today, both Islamists and military seem to subscribe to the rule of power and might, not the rule of law. A difference will hopefully surface if, and when, the military prepares for true democratic elections by a people that do not seek power, but justice; not exclusion, but inclusion; not ideological purity, but a coming together of what is in fact and what is believed to be the foundation of society. Hitler also was elected legally, but his government quickly became illegitimate. He also had a majority of people, including business leaders and professionals behind him. They were blinded to follow his socialist, evolutionary ideology of German/Aryan exceptionalism. Russia today has an elected president, who so manipulates both the constitution and the dreams of grandeur of the Russian people that he not only makes laws at will – and uses them to express disapproval and even revenge – but can also, just this month, sentence a lawyer, “in absentia”, to fines and imprisonment even after the police had killed the man five years before! Here the supposed ‘rule of law’ has become the rule by laws, arbitrary, random, created for a purpose of intimidation. History gives many examples of horrible results of free elections, when majorities were wrong. A large majority among Serbians voted for their president Milosevic, who had replaced communism with nationalism as the unifying ideology. He started the Balkan wars in the 90s in pursuit of power without any justice concerns. Add to that Uganda, Sudan, the Democratic Republic of Congo...democracies in name, but not in form or content. Corruption occurs not only through a false count, but also through lawful intimidation, exclusion, violence, when laws are an expression of power, not of morality. Just now, once again, the election in Zimbabwe was stolen by paying and bussing voters to polling stations to favor Mugabe and to disenfranchise thousands of legitimate voters. Democratic legitimacy does not exist by virtue of numerical majorities alone, for mathematics is value-neutral. It indicates nothing about ethics or morals, about right or wrong, good or evil. Likewise, an appeal to notions of blood, land and national identity are an unexamined appeal to quasi-divinity. They say nothing about goodness, wisdom or justice. “You shall not use the name of God to support personal vanity” is the third commandment. Absent is always the necessary freedom and participation of the enlightened mind, the continuous search for what is possible and wise with respect to the limits set by the finiteness of all human knowledge and the imperfection and distortions of every historic situation. There is no golden age, no ideal society, no perfect union, and no kingdom of Christ as yet on earth, and no numerical majority will bring, in and of itself, justice, goodness and mercy. 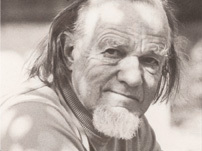 The title of this second colloquium leans on Francis Schaeffer’s frequent saying that “If you will have only perfection or nothing, you will always have nothing.” You quickly see that this applies to and continues part of the previous talk about democracy. For that form of governing acknowledges that perfection is not achievable. It is only the best among many dissatisfactory options for the time being. Democracy does not rely on the goodness of people, but seeks to diminish and limit the power of human flaws. Perfection is alone found in God’s presence, when He who is good and just and perfect, has repaired what is now always damaged. No church, state or family; no job, manuscript or recipe; no health plan or exercise, no new model car or cell phone, will bring perfection in this present world. We also strive, or at least should do so, because we never come to the end of things, even in eternity. Existence is never finished, work is never done, creativity is continuous. There will never arrive a static and in that way final perfection for life, work, effort, and relationships, not even when the damage of the fall and death is removed. In contrast to Greek philosophic thought there is no perfect chair somewhere in the universe, no perfect meal, no perfect word….. The reason for this Biblical idea lies in the nature of the Triune God, in whom the relationship between Father, Son and Holy Spirit never loses any dynamic, diminishes their love and communication, or ever comes to an end. Neither shall the creatures’ restored life ever reach perfection, in the sense that something has its final definition and nothing can or need be added. There will always be time, sequence, growth, skill and satisfaction, but nothing like the Greek philosophers thought of as permanence and changeless fullness. Perfection as an idea is related to eternal forms, or ideals, which Plato speaks about. But that is not the image of God or the description in Scripture of eternal life. Even in the account of creation God did not rest because everything he had in mind was done by then. Much was unfinished and lay ahead in the future. Trees would start to bear fruit and people, Adam and Eve, had yet no children. They would slowly learn to exercise dominion. God had given human beings the mandates to continue to create, so that both God and Man would be able to enjoy the eternal continuity of dynamic personal existence. That is a far cry from the notion that in perfection there will be eternal rest, and that there would be a timeless eternity. The rest of God after six periods of creation was not from fatigue or from a sense of conclusion, but in order to enjoy what had been done and what would then continue to be done by God and the creatures in His image, forever. Likewise, the Sabbath rest to come is not one of inactivity, but of deliverance from the burdens imposed on all creation after the fall of Adam and Eve; it is a future of unharmed and unhindered celebration of what God intended people to be all along. The pursuit for perfection is really a search for death, when everything seemingly comes to a halt, wishing a rest from life, from responsibility, from being human. Life, according to the Bible, is instead a continuum of being human, of working, discovery, creativity and enjoyment in thankfulness in spite of any of the familiar disturbances we face every day. “Every Idea has Legal, Political and Moral Consequences”. The title to this third of the colloquia speaks of something that must be obvious to us all. Ideas often precede and give direction to actions. “Ideas have consequences” is the title of Weaver’s familiar book. It is also what the Bible tells us when it holds out that what a person believes will give shape to his actions. The relationship between thought and action is helpful in efforts to understand people and cultures in their legal and economic realities. The power of ideas is such that from greater or lesser knowledge, and higher or lower preferences, whole generations are affected down through time by what people do to express their ideas, their values, their insight and aims. Ideas about God and Man, about man and woman, about time and its order and usefulness, about work and pleasure, about rights and assumptions, about the role of fate or divinities and spirits, about the meaning of words and the obligations of contracts, about what is real and what is imaginary: all of them and many more have consequences in the life of people, how they live, relate and work, and what meaning they see to it all, if any. But we must be honest to admit that Christians are not immune from ideas blindly held or remaining at all times unexamined, even though they may be drawn from this passage or that of Scripture. Ideas are poor, even when they are uncritically drawn from Scripture, if they do not relate to all of Scripture and to the real world, where every man is born from a woman. Yet for how long have Christians not honored women as equal to men? Or embrace classical slavery, exploitation of workers as Marx describes it, or underpaid employees because the market tolerated it? Or applied laws without considering the demands of justice? Or put up with corruption in words and deeds in our culture? Or have spread that culture by sword in the past and by deception in the present? In the Fourth Colloquium I presented what Niall Ferguson describes, in his book Civilization, as the six applications that made the West different from the rest. Competition and medicine, science and the rule of law are among them. One particular application, what Ferguson calls ‘consumption’, needed further consideration, as that particular word implies consumerism. What he means, and what Christianity has brought to much of the world, is perhaps better called aesthetics: the creation of beauty and variety for the pleasure of human beings and their affirmation through efforts that go beyond the necessities for survival, beyond the daily grind. From God’s pleasure with the diversity of creation to the craftsmanship invested in things that show off more than their functionality, but also an aesthetic, a beauty, a particular sign or brand, a name or another distinguishing mark beyond what is essential to the purpose of the object. Bowls are decorated, machines are designed; furniture, clothes, the preparation of meals in the manner of the “nouvelle cuisine” express much more than utility. Pictures are painted and stone is sculpted for the purpose of speech, awakening curiosity and rekindling memory: all this comes from the Bible’s mandates not only to live, but to live well and in diverse fashions. These are statements against repetition, normality, impersonality and sameness. Bare essentials are the minimum we should provide, but more expresses personality, taste, imagination and uniqueness to the glory of God and the enjoyment and fascination of human beings. They express the unique personality and purpose and intention of each craftsman. They single out a home, a person, a place, a time so that they are noticed as worthy of respect. They are in themselves perhaps superfluous, but necessary in obedience to the wealth God sees in things and people. Making such things available for the wider population is a result of the Bible’s teaching about the meaningfulness of our timely, physical and personal existence. False is therefore the attitude that these are merely things. They are not: They are someone’s things. They keep alive the recognition that we live in a world of persons, not things; that communication is more rewarding than silence. With this subject of the final colloquium I wanted to show how Darwin’s philosophy, which builds on his quite accurate scientific observations in nature, (where natural selection shapes later generations in a sequence of conflicts: adapted survivors survive, while casualties are dismissed) and stands in a larger historic and philosophical context. It did not arise out of scientific observation alone, but brought open eyes to his field, when much of the thinking and expectation of the 19th century had already embraced the non-supernatural and impersonal view of history. Georg W. F. Hegel elaborates a similar proposition: History advances through conflict, synthesizing opposites and abolishing distinctions which a rational, analytical mind establishes. Out of the series of material conflicts arises in the end true spirit, just as out of Marx’s class struggle will arise a classless society. In other words, eventually all opposites will be synthesized, from the present either/or analysis will arise a both/and unity, or synthesis. It relies on an idea of oneness and is itself, in light of opposites in the real world, irrational and spiritual. That shift from antithesis (between opposites) to synthesis (where opposites are resolved and everything follows without interruption, like water in continuous flow, or like links in a chain) reflected the fascination with Eastern thought since the 19th century in literature, in the founding of religions leaning on Asian thought, such as Christian Scientism, Anthroposophy and Mormonism. It is also present in some current theological thought, when the study of the text, requiring analysis, is replaced by the feeling about the text. The text is no longer truth, but a person’s perception of it, changing over time and with social contexts. The study of the Word is replaced with the importance individuals give to selected words. Rationality is replaced by a focus on personal relevance, and the hard work of figuring out what is just, good and right, antithetical and contrasted to careless, selfish and the pursuit of pleasure, is abandoned in favor of an individualized synthesis of personal preferences. This not only leads to an emerging theology, as Councils through the centuries sought to refine their understanding of God, Jesus and the human condition from both the Bible itself and the work of God in history, but now also to a emancipation or liberation of theology from text, history and accountability. Emancipation is, however, also not limited to theology. It has become an acceptable way to address moral concerns, social arrangements and business relations. Some of this we should favor, when new insight, greater sensitivity, discovery of errors and neglect sensitize us into expanded responsibilities. Slavery was then abandoned, Labor Unions founded, education expanded, hygiene discovered and imposed, and laws were made to establish accountability and blame in relation to God and society. This gave direction in ever more connected and affected social spaces for the benefit of many, who until then had merely relied on, and often failed in, their own discovery. Other forms of emancipation are linked not to clarifications of what is right, true and just, but to an abolishment of all factual categories. It is then emancipation from reality, truth and finally God. Often this is tied to the belief in the elusiveness and inexpressibility of truth itself. There is no actual God, no outside reality, no form or measure to law, crime and punishment. Truth has “become an orphan, emaciated and abandoned as the principle goal of human intellectual inquiry” (Prof. Eduardo Echeverria, 2002). Reasoning backwards from effect to cause, from fact to explanation, from need to remedy, from desired end to possible means is an antithetical tool. What we call conscience, the ability of the mind to compare and contrast memory and imagination to present action, also distinguishes differences and contradictions in language and in the real world. Yet reason and conscience are today easily abandoned, when the determining characteristic is personal preference, an “I like” approach to everything, rather than truth tied to facts. With the change of times and seasons the focus shifts as well. Almost everything is thinkable to the self-reliant in his or her mind, and soon everything becomes do-able and justified. The link to facts, text or logic is lost when feeling, love and twitter relations rise and fall like feathers, or when the sap descends from leaves in autumn, and the wind pulls them off. They, like many people, flutter ever-which-where, and wilt. “Jesus after Modernity” (James Danaher) advocates such an abandoning of antithetical reading and analysis in favor of a synthetic one. The author suggests that we are demanding explanations that are too precise, attempting to solve contradictions and thinking in terms of truth and falsehood. Instead of recognizing complex situations and the limits of language, he suggests we should simply focus on Jesus and love him, going through life with simple enjoyment of all human beings, every thought, all experiences by putting away prior critical means of evaluation. Modernity, he says, is what brought us mathematical minds, attempting to make sense out of events and texts like the Bible. The correct approach is to just see Jesus and love him and his way of loving people. In this we are invited to accept an emaciated concept of truth that follows current social norms and cultural warrants. Abandoned is the foundational understanding that all reality, including Scripture, is antithetical, making distinctions between being and not being, between God and creation, truth and falsehood. Jesus himself is antithetical in his approach to people and the life he encountered. He opposed the Pharisee’s teaching of his day, healed the sick and denounced evil. He spoke of sin and redemption, and the necessity of his own death in Jerusalem as conqueror over sin and death, not as victim of the times. In no way did Jesus love whatever unrolled as a synthesis of everything. He did not see everything as God’s will, or as contributing to an advance of history, or as a natural synthesis in the flow of time. He denounced wrong thoughts, wrong actions and wrong situations, because they were antithetical to his character and God’s declared will. I suggest here, as in much of what people do and believe, the influence of the 19th century mind, whether philosophically illustrated in Hegel and Marx, or scientifically established in Darwinism, or politically in the notion of Providence and Manifest Destiny. All of these views have in common the loss of a notion of a distinct lasting truth, of a transcendent God and a defined, lawful creation. The philosophical source of it lies in the return to the notions suggested in Greek philosophy and its reawakening in the 19th century of the heavens being closed without a moral God, and both Nature and History are the amoral statements of what is, the quasi-divine guide to everything. The God in heaven is supplanted by the belief in the ‘divinity’ of people, who freely invent their own gods, theologies, and personal definitions of truth, fidelity, love and rationality. They justify it with the view that everything, including definitions, is in a constant, emerging and changing flow. The recent revelation over the degree in which everything is recorded by each of our government agencies, benefiting from abilities of commercial companies, brought to light threats to both the freedom of personal opinions and the right to protection in our life, in our history. Someone listens in on every conversation; little remains hidden, if not in verbal detail, at least in terms of where in the world we are at any one time with our cell phones, whom we contact with what frequency, and whom we write to in emails. We are amazingly free and unhindered technically, but thereby also tied to accessible devices. In addition we are exposed in terms of what we say, write and set before a wider public through social media. So much is made put out there, and then we complain when we find out who has the ability and desire to record and make use of it. The modern pursuit of personal freedom comes of course with a price of reduced privacy. Employers will check what one has published on Facebook during and after work time, and those committed to guard our security will need to access the available information to prevent criminality and terror. Ideally what is being watched and uncovered is used preventatively. The current debate and tension sprouts, I would suggest, on the soil of excessive notions of liberty, stated in terms of privacy of choice and assumed rights to security. There is no liberty that does not affect others, and no security can be provided unless the thoughts, intentions and planned measures of evil are unmasked and the freedom to follow through with them is curtailed before the intended acts come to fruition. People, whether individuals or governments, have always sought information for their benefit and protection. That is not only the nature of beneficial spying, but also of curiosity and the search for knowledge. Every person and every country does that, in spite of what people in France, England and Germany, among others, expressed at first when the degree of US intelligence gathering services became known. We must acknowledge that as individuals we have raised our expectations of security to a level that only the detailed services of surveillance agencies can furnish. Rejecting the prior history of ignorance, deceit, crime and terror, we increasingly demand and expect to be served total security by authorities and institutions: on playgrounds for our children, through building codes, car recalls, safety rules, and content labels on everything. Terror, after all, did not arrive in our lives only a dozen years ago. New is only that we now want agencies to watch over compliance to codes and to provide security against terror and accidents. We have largely seconded that responsibility to others, on whose more efficient power and ability we want to count! Yet, apart from safety and security being ever unachievable, we now complain about various efforts to diminish dangers through an increase and refinement of the way information, even when selectively done, is gathered and used. It is curious that this complaining coincides with more people revealing more of their thoughts openly in public and social media. There is no way to keep information private once it has been published. We possess our liberty when we keep things in private, stay silent in public, restrain our comments and hold fast to the 19th century dictum, during another time of anti-authoritarianism: thoughts alone are truly free. Once handed out in the public sphere they have consequences that already limit personal freedoms. One is also only free to the extent one respects the defined freedoms of others. Expressed thoughts create reactions, suspicions, and resentment. In a public medium they are exposed, and the author is bound and accountable. With the use of a cell phone you are located, connected, you leave a trail! Security only exists where freedoms are confined and controlled either by the moral self or where their expression is limited by imposing moral law. One’s security depends on protection from the effects of evil choices, which in turn depends on their becoming known. Liberty as an abstract notion of freedom must be hedged against license; and security results from the restraining power of laws on the basis of, and in response to, more detailed knowledge about what free people intend. Both the individual and the public, represented by their elected governments, require knowledge about potential harm intended by free people, whose liberty is protected, but whose misuse must be able to be restrained by inquiring powers when it opposes a common lawful order. The protection of liberty is only possible through increased provision of security, which exists where personal freedoms are submitted to the restraints of a common purpose. Of course one needs to be aware of possible excesses or misuse of any gathered information, the spying for mischievous purposes from a general enjoyment of power garnered over others. Many governments have falsified information for use against their citizens. My father took walks during the Nazi era in a forest, miles from home, on Sunday mornings to freely talk with friends, away from the ears of the Nazi state. Children were rewarded for telling on their parents in many dictatorships. My parents posted the sign Feind hoert mit (Enemy is listening), pinned up as a joke in our lavatory. That instruction from Nazi times intended to keep people from talking to each other, supposedly because of spies, but mainly in order to maintain ignorance and fear, to squelch rumors of actual atrocities, and to discourage independent reflection that distracted from the national purpose. But that is unlikely to be the case in the present circumstances. Having a government under law, exposed at all times to the checks and balances in place, with the ideas, fears and demands of an alert citizenry expressed first in every Public Square and then in each future elections, will prevent that to a large extent. But the ideology of opposing or rejecting all governments and suggesting the benefits of libertarian personal independence, from a belief in the goodness of ‘the people’, will make life among neighbors less secure as well. For, who can trust “the people”? And who are they? I only ever know individual persons! Efforts to prevent misuse of the information are the responsibility of each citizen by means of the power we each have: to argue, discuss, critique for the sake of truth, to inquire, speak, write, and vote all along the passage of time to prevent what is at this point a vision, from fear and imagination, of a hypothetical future. That dreaded, imagined time is “neither necessary nor inevitable”. Final security remains at all times unachievable, and can certainly not be guaranteed for years into the future. Greater security now must be achieved through constructive involvement in all the private and public domains which contribute to reduce the current frustrations, anger and bewilderment. That is our civic duty, away from fanatical excesses on one hand and blind trust in people or government on the other. Our governments are mandated to provide whatever security is possible, with the participation of our neighbors and parents. None can ever provide every desired security and safety. In the end we are responsible ourselves, either directly through increased attention and carefulness, or through intelligent participation in the public sphere, where we work deliberately to improve the quality of each person around us. All of them choose the government of their moral, or immoral, preference.